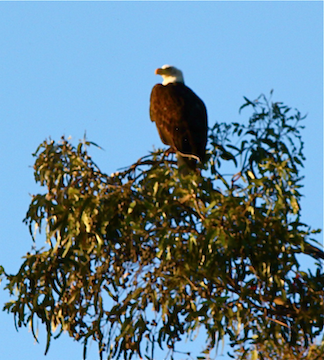 Bald Eagles have returned to Ventura County, California. We have observed a pair of bald eagles nesting fifteen miles from our house. Although the nest is very large, it is not easily spotted because it is well hidden in the branches of a tall tree. 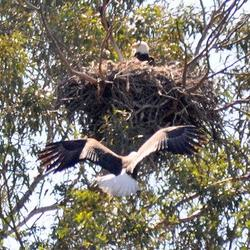 It has been almost a century since Bald Eagles nested and hatched chicks here in Ventura County. 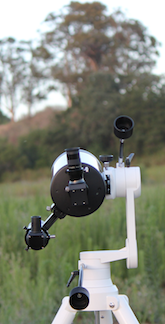 A close-up of the scope aimed at the tree containing the eagle’s nest is shown below. It has been a long time since bald eagles nested in this area to hatch a new generation of these beautiful birds, and we are happy to be able to watch this event take place. It is not known how or why this pair of eagles choose to migrate into this particular area and set up “housekeeping”. 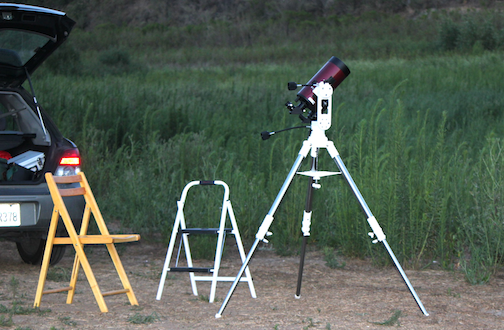 Perhaps it is because there is small game and fish nearby. If the little fellow shown below is not careful he may become an unwilling guest for lunch. I snapped the above photo on the trail leading up to the tree where the eagle’s nest is located. 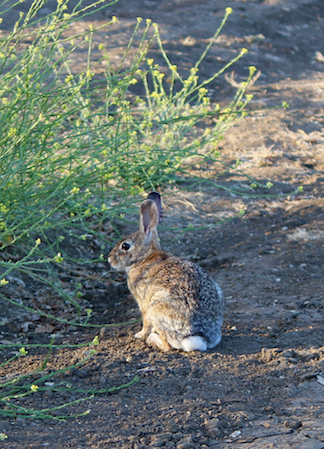 The cottontail soon became uneasy and scampered toward some cover. Two eagle chicks hatched a couple of months ago, and are now testing their wings while flapping vigorously a few inches above the nest, then dropping back into the nest. Unfortunately, we have not yet captured the chicks in a photograph, but we have some photos of a proud parent standing watch on a branch near the nest. This entry was posted in Miscellaneous Musings and tagged bald eagle, bald eagle nest. Bookmark the permalink.